November | 2016 | iPhone 5 Features, Apps and Accessories Ranked! Today’s world move around tech-savvy environment and must have consistent connectivity with so called financial responsibility. Distributed antenna systems (DAS) can help to boost the cellular connectivity in a commercial setup, and choosing passive DAS (another name for cell signal booster systems) can save time and money while providing enhanced accessibility for all users. Distributed Antenna System (DAS), a complex technology that turns many businesses is an integration of an extensive system of linked antennas into a workplace, hotel or hospital – allowing full-strength reception in spots as cell phone signal-averse as subterranean subway platforms. They seem like an ideal solution to boost cell phone signal in a building. They are generally more powerful than a commercial cell phone signal booster. However, once the pros and cons are weighed against each other, a pro-grade cell signal booster does the job without the added hassles, headaches, and especially, costs. Cell phone signal boosters are free-standing, becoming a more popular easy-to-install fix for in-office low-signal environments, with solutions ranging from small residential-grade systems to large, high-power commercial systems suitable for serving entire buildings. We rely on consistent connectivity wherever we go. Weak signal can occur anywhere to anyone. Buildings, geographic features, trees, and even certain types of weather can block cellular signals by preventing a cell tower’s radiofrequency (RF) waves from reaching your devices. Business owners need to be aware of their upfront spending and any debt they incur, especially when purchasing or leasing a new building. Depending on the solution you need, improving a poor signal can be a costly investment. However, many building owners decide that strong cellular connectivity is something they can’t do business without. They key is finding a financially responsible option that won’t completely break the bank or max out the company credit card. Fortunately, there are options for improving cellular connectivity in just about any commercial or luxury home setting. 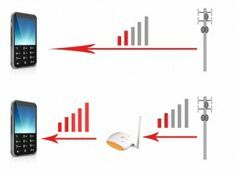 Two common solutions are active distributed antenna systems (DAS) and cell signal boosters, also called passive distributed antenna systems (passive DAS). When you research for a best solution for your organization, it’s important to consider your needs, timeline, and budget. Active DAS is a common choice for very large buildings or environments that need enhanced cell signal. These systems use antennas and fiber optic cable to capture a cell signal from a remote source and broadcast it over a wide area, such as a stadium, subway station or other large area with square footage reaching into the millions. 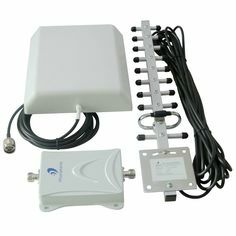 Signal boosters or Passive DAS work by using rooftop donor antennas to capture existing cell signals from nearby cell towers, amplifying the weak signal, and then rebroadcasting the boosted signal throughout the indoor. Typically the strength of the cell signal is boosted up to 32 times. Furthermore, the resulting indoor signal is carrier-agnostic, providing a significant improvement in cellular reception quality for cellular devices across all carriers. They don’t require fiber optic cable. They can be installed using a coaxial cable and antennas, which are simple and can be adjusted in a variety of commercial settings. FCC approved to enhance the signal to all users on all frequencies, without favoring one specific carrier over another. Installation time is much lesser than the than active DAS — usually a matter of several weeks or months instead of over a year. Passive DAS, most importantly are financially responsible method of improving cellular connectivity. They cost an average of $0.50 per square foot whereas active DAS costs nearly $2-$4 per square foot; it’s a quarter of the cost of a comparable active DAS. 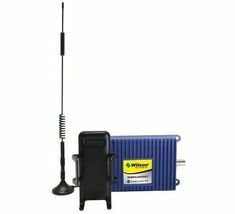 Hence companies who have been searching for an effective but simple solution to improve incoming and outgoing cell phone signals, thereby boosting data speed and increasing voice quality, the affordable solution could well be a Signal Boosting system – it is certainly a reliable alternative to an expensive DAS system. Fiscally speaking, the responsible choice for enhancing cell signal quality is passive DAS. When choosing a cellular signal boosting system, consider your coverage area, timeline, and budget to determine the best choice for your commercial setting. LTE Advanced is a mobile communication standard and the next step of the Long Term Evolution (LTE) standard. They are planned improvement of the current standard. In March 2011, it was commercially standardised with bandwidth improvements, and a peak data rate of 3 Gbps for download and up to 1.5 Gbps for upload. In Asian countries, mostly in the metropolitan areas the availability of LTE-A connection is emerging. With the technology called “carrier aggregation”, LTE-A achieves its high speeds. At the same time, it is able to send and receive data from two different frequencies and simplifies the way in which your device performs. Keep in mind that in future LTE-A isn’t the only wireless network standard. There are also the 4GX, the XLTE and Vo-lte, which stands for Voice over LTE. By this technique users can transmit their voice over LTE network. There is no need for the use of traditional cell phone networks.